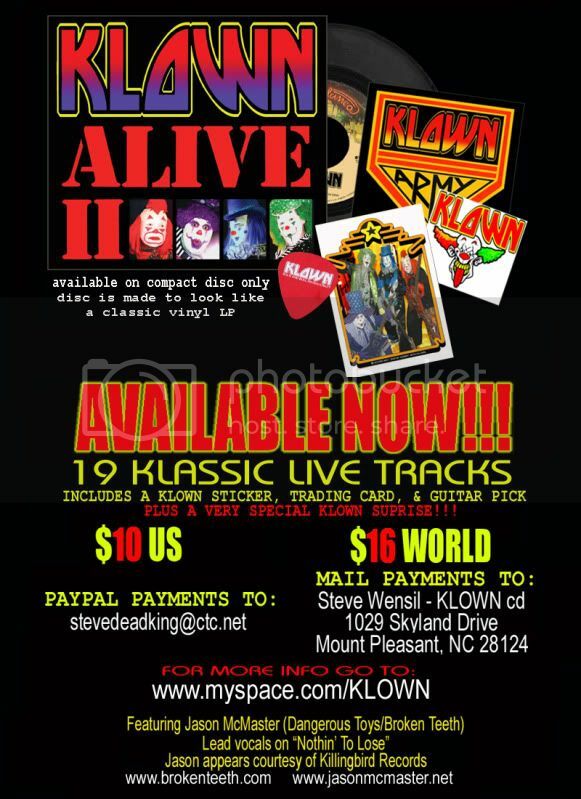 North Carolina KISS tribute band KLOWN announce the release of their live KISS tribute CD, KLOWN ALIVE II. The album features KLOWN performing 19 KISS classic and obscure tracks recorded at various shows over the last several years. The CD is packaged in classic 1970's KISS style including a CD designed to look like a vinyl LP complete with grooves and a "Casablanca Records style" label ring. Also in true classic KISS fashion the CD contains several "goodie" inserts. A KLOWN sticker, trading card, guitar pick, plus a special KLOWN surprise. Concert Online exclusively recorded the concerts of the KISS ALIVE 35: North American Tour 2009. Now that the tour is over we've remixed and mastered only the very best live performances of all KISS ALIVE 35 klassic hits. He has played for Meat Loaf during the Bat Out Of Hell tour, he has been responsible for the lead guitars on Kiss-classics such as 'Crazy, Crazy Nights' and 'God Gave Rock'n'Roll To You'. And now he will upgrade the value of Tobias Sammet's new Avantasia epic with his remarkable lead guitar sound: legendary Kiss axeman Bruce Kulick! Tobias says about the collaboration: "I've met Bruce in 2008 in Los Angeles. Kiss drummer Eric Singer (who has played drums for Tobias' Avantasia project as well) had played him our Avantasia album "The Scarecrow" and Bruce must have liked my voice as far as I know. So eventually he asked me to sing a song on his solo album "BK3" which is gonna come out in February 2010. I liked the idea, I liked the track, I liked Bruce and so of course I did it. Bruce has always been one of my favorite guitar players, he is one of the classic 80s shredders who got a unique tone and a terrific feeling. His playing is very tasteful. Now, I was looking for an additional lead guitar player for Avantasia to add a new color to some songs and it stood to reason to ask someone who had just become a member of my extended family, so I went for him, and I am happy he liked the idea and immediately agreed. Bruce is a super cool guy, he sacrificed Christmas Eve to start the recording sessions for me in Los Angeles. That says a lot about his work ethic. He is a real pro and a class act!" 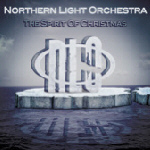 On April 3rd "The Wicked Symphony" and "Angel Of Babylon" will be released as a double CD in a deluxe box set. 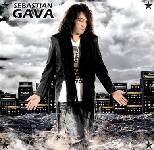 This sequel of Avantasia's 2008 chart breaker album "The Scarecrow" will feature guest stars Eric Singer (KISS), Klaus Meine (Scorpions), Ripper Owens (ex-Judas Priest), Michael Kiske (ex-Helloween), Jorn Lande (Masterplan), Russell Allen (Symphony X), Bob Catley (Magnum), Jens Johansson (Stratovarius), Alex Holzwarth (Rhapsody), Felix Bohnke (Edguy), producer Sascha Paeth (ex-Heavens Gate) and Ralf Zdiarstek (Amitaf). Chris Laney is hiding away in the dungeons of Polar Studios in Stockholm, he is set on writing-mode for solo-album nr 2 which is planned to be released spring 2010. So far a few killer tracks have been written. Just as on his debutalbum as a solo-artist, he has invited a few friends over to Polar Studios. Just as last time, one song is co-written with Bruce Kulick (KISS, Union, Grand Funk etc). Another song is co-written with guitarist Conny Bloom (Hanoi Rocks, Electric Boys). Some other friends are on the way to Sweden to meet with Chris Laney in his song-writer dungeon. In a few days a guitarist from Los Angeles will land in Stockholm. We will get back with more information as the work progress. Keep your eyes open and ears unplugged. Chris Laney's debut solo album, "Pure", was released in March 2009 via Metal Heaven, which album features the Bruce Kulick co-written song "The Stranger In You". CRISS, SKOFF, ONE OF A KIND and PETER CRISS guitarist Mike McLaughlin have finished recording his solo disc. The 14 track album, entitled "Anti-Pop" is an instrumental (except for one song) in the vain of Joe Satriani, Gary Moore, Jeff Beck, etc. "Anti-Pop" is available in downloadable form at mikemclaughlin.bandcamp.com. Thanks to Alex Fedotov, KRR added some images of ALICE COOPER - Live In The UK 2001 album (which actually is the Malaysian CD version of the DVD "Brutally Live", featuring Eric Singer), and LORDI's CDsingle of "It Snows in Hell" (which features Bruce Kulick on guitar). Also KRR's release schedule and the KISS inspired / Parody sections are now updated. KRR contributor Jiri Fialka found some info about a band from Finland, named KERHO, which 2003 debut EP "Oikku" contains a love song for Paul Stanley of Kiss.. I am very happy to announce that fans will have less of a wait for BK3, as the release date has been MOVED UP two weeks to FEBRUARY 2ND!! IMV, a Los Angeles-based producer of interactive music content and video game systems, has set a January 19, 2010 release date for original KISS guitarist Ace Frehley's "Behind the Player" DVD. In his IMV "Behind the Player" DVD, Frehley gives an intimate behind-the scenes look at his life as a professional musician, including rare video footage. Frehley then gives in-depth lessons for how to play "Shock Me" and "Cold Gin" and jams the tracks with special guest musicians, including Matt Sorum (GUNS N' ROSES, VELVET REVOLVER), John 5 (ROB ZOMBIE, MARILYN MANSON), Chris Wyse (THE CULT), Tommy Clufetos (TED NUGENT, ALICE COOPER, ROB ZOMBIE) and George Lynch (DOKKEN, LYNCH MOB). "Video Tab" shows exactly how Frehley plays the two tracks. The video-game-style animated tablature is similar to Guitar Hero, but shows how to play the tracks for real. Check out preview clips from Ace Frehley's "Behind the Player" DVD clicking here. Ruben Mosqueda of Sleaze Roxx recently conducted an interview with former KISS guitarist Bruce Kulick. Read the interview clicking here. Tod Howarth is currently finalizing work on his new album, titled "Opposite Gods". Mike Lomlomdjian recently did an interview with Tod Howarth which he likes to share with KRR visitors. Read the interview clicking here. Wounded Bird Records just confirmed that they have reissued 1988 FREHLEY's COMET albums "Second Sighting" and "Live + 1" (WOU 1862), both on one disc, as well as ACE FREHLEY's 1989 "Trouble Walkin'" (WOU 2042). Both reissues are now in stock and available for purchase at Wounded Bird Records. 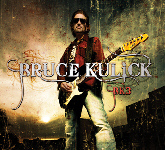 December 4 : KissFaq Interviews Bruce Kulick on " BK3"
Elianne Halbersberg of Premier Guitar Interviewed KISS "Sonic Boom" co Producer and Enigineer Greg Collins. Greg Collins discusses how he and the band made a 1970s KISS album in 2009. December 2 : KEEL "The Right To Rock: 25th Anniversary Edition"
Frontiers Records will release their reissue of KEEL's "The Right To Rock: 25th Anniversary Edition" on January 29, 2010. In 1985 Keel exploded onto the scene when “The Right To Rock,” their major label debut produced by Gene Simmons of Kiss, became the fastest-selling debut album in A&M Records' history. Frontiers Records will commemorate the 25th anniversary of this historic release with The Right To Rock: 25th Anniversary Edition simultaneously with Keel's latest effort "Streets Of Rock & Roll". This newly remastered edition adds two bonus tracks: “Easier Said than Done (Remix)” and a newly recorded version of the immortal Metal anthem “The Right to Rock”. For this recording, Keel invited their fans to participate via the internet – Keel-aholics could download a guide track, sing along with the chorus, and send in an MP3 to be blended with the all-star chorus of the song which also features Paul Shortino (Rough Cutt, Quiet Riot), Lez Warner (The Cult), Ron Mancuso (Beggars & Thieves) and other members of the Las Vegas rock scene (even Graham Russell from Air Supply joined in)!